I was sitting opposite my wife in the restaurant of the Arlington Hotel where we are staying. 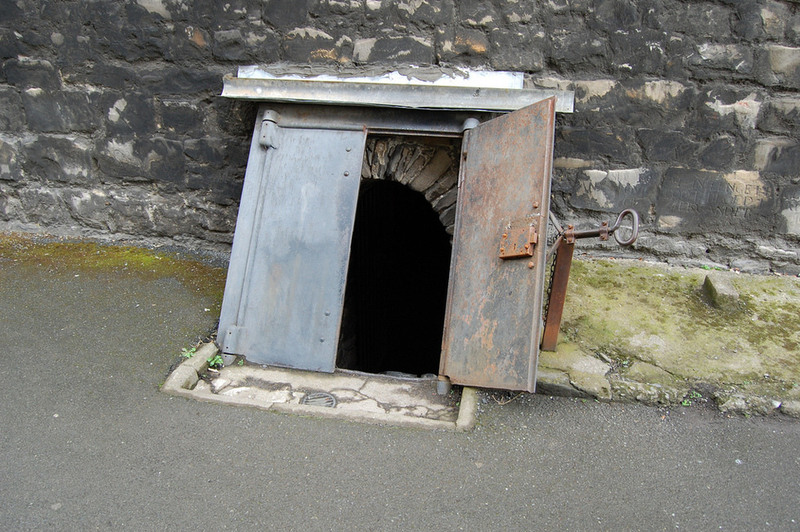 It’s just steps away from the O’Connell Street Bridge. I was making strange, odd and contorted…some would say ugly faces in her direction. She simply stared back at me. My eyes watered and I continued to wiggle my face into creepy shapes. She must have been thinking I was making faces at her, but she simply stared back at me. I managed to make a comment. “Funny what air-borne pepper can do to the inside of one’s nose,” I said. I had just peppered my Irish Stew and the mashed potatoes that sat on the plate begging for a hit of pepper. The sneeze, when it finally came, is something I’d rather not talk about since I had a small bit of stew at the back of my throat in the last stage of a swallow. Like I said, I’d rather not talk about it. I’d rather tell you how we had spent most of our one and only full day in this most unusual city. The weather was cool, enough so to give me an excuse to buy an Irish tweed cap that I wore proudly the rest of the day. I would have walked among the crowds as a local, a native, a true Dubliner, a real Irishman if it wasn’t for the Nikon D3200 DSL (red) around my neck. 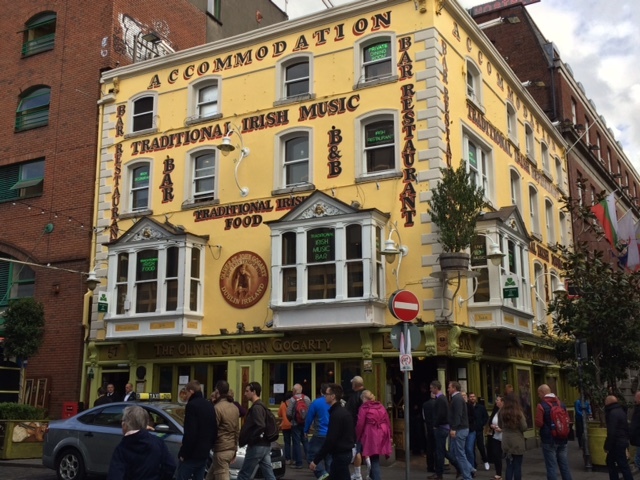 We were exploring the section of the city called Temple Bar. It’s across the Liffey from our hotel and it’s a very hip place indeed. The focal point of Temple Bar is Trinity College where the famous Book of Kells is on display. I’ll get back to that. We were passing a theater and there was a small queue at the door. I saw a young woman sitting on a step so I asked what she was waiting for. She gave the name of a band that I had never heard about. I was fixated on her forehead (for a change) and pushed the conversation a bit. My wife waited patiently across the street. “Do you know the area well?” I asked. 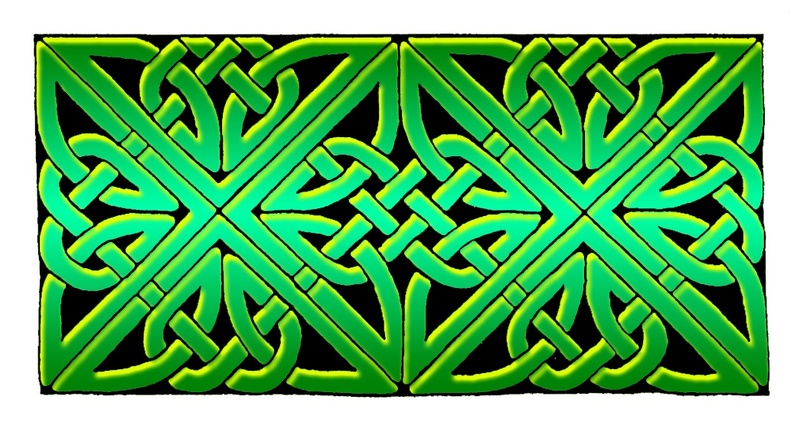 I had been thinking of the great poem “Raglan Road” by Patrick Kavanagh. I know it best as one of my favorite Van Morrison songs from the Irish Heartbeat album that Morrison recorded with the Chieftains sometime in the mid 1980’s. I told the young woman I was looking for Grafton Street. She knew where it was. I thanked her. Her name is Jessica. She is beautiful and her forehead is quite fabulous. We continued on toward Trinity College. We were intent on seeing the Book of Kells. A woman in our hotel lobby told me earlier that the lines are crazy and to “book online”. But, we were at the admission desk of the Library and there were no lines. We paid our fees and before we could say “calligraphy”, we were looking into the glass case containing, arguably, one of the most famous books in Western Civilization. When they were burning women as witches in England, the scribes and artists of Ireland were copying this most impressive Illuminated Manuscript I’ve ever gazed upon. I couldn’t even sneak a photo on my iPhone so you’ll have to Google it to get a sense of the fierce beauty of the page. We then went into the Long Room of the Library. 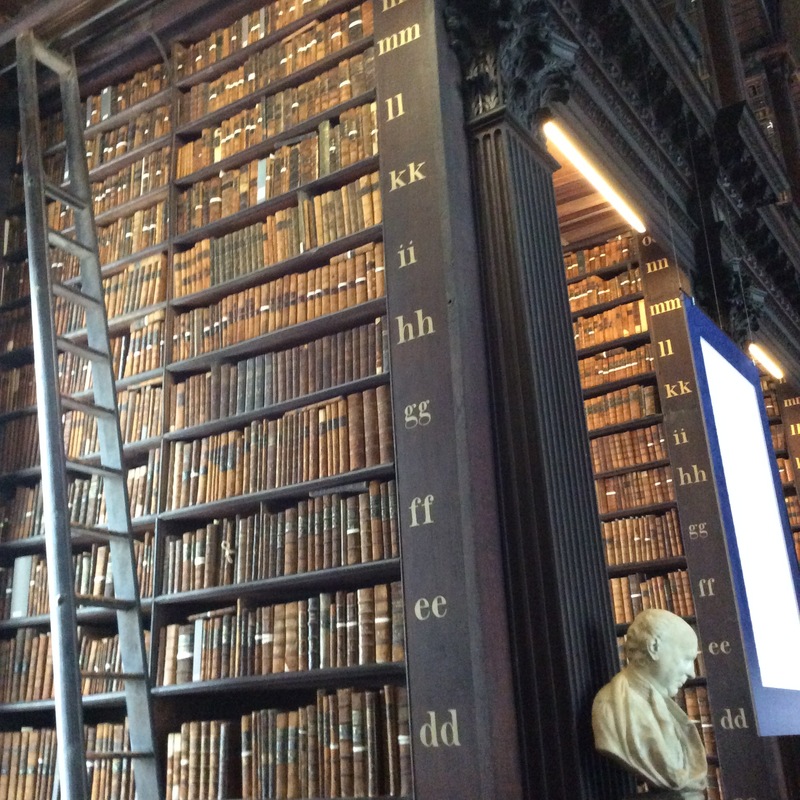 Now, I love books…anyone who knows me is aware of that, so when I entered the main room, I nearly wept at the sheer number of volumes that are neatly stacked at least three stories high. We stopped into one of the many pubs near the college for a bit of a rest. 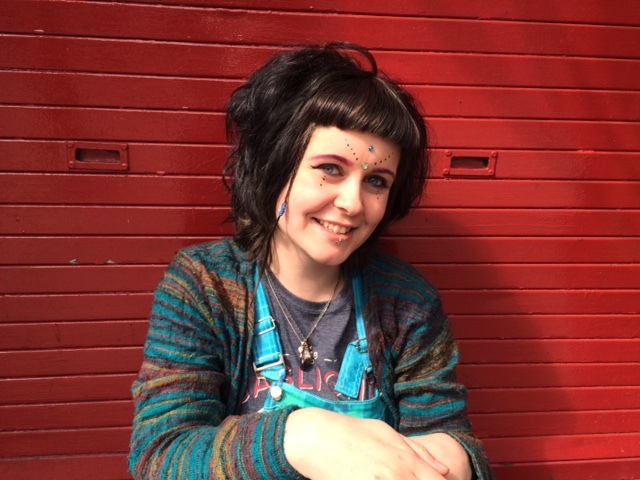 When we emerged, we were only steps from a small intersection where the statue of Molly Malone was erected in 1988.. Crying ‘cockles and mussels alive a-live O! Many tourists were crowded around to get the best angle. She is cast in bronze and her plunging neckline reveals an ample bosom with cleavage to spare. An Italian man climbed on the pedestal, and, in full view of the crowds, proceeded to put his hands on her bosom. 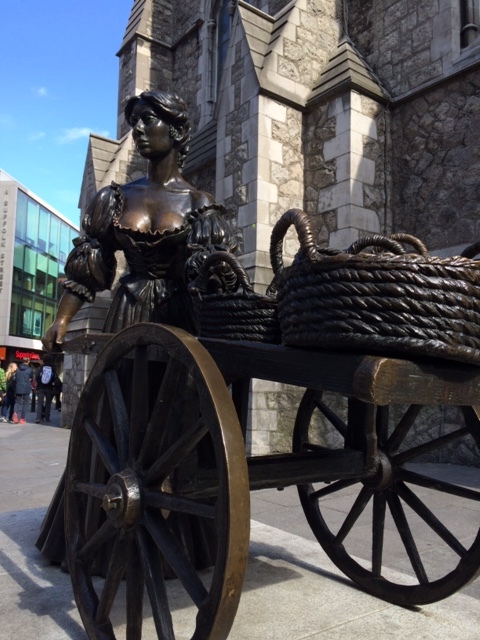 After he climbed down, I looked at the breasts of Molly Malone. They were quite polished by the touch of many hands. Honestly, men have only one thing on their mind. Have they no shame? I kept looking back at her chest and wondering why men are such crude blokes…when I nearly fell over a trash can. I moved on to our final crossing of the Liffey. We arrived at the far side of the O’Connell Bridge. I didn’t want to go back to our room yet. 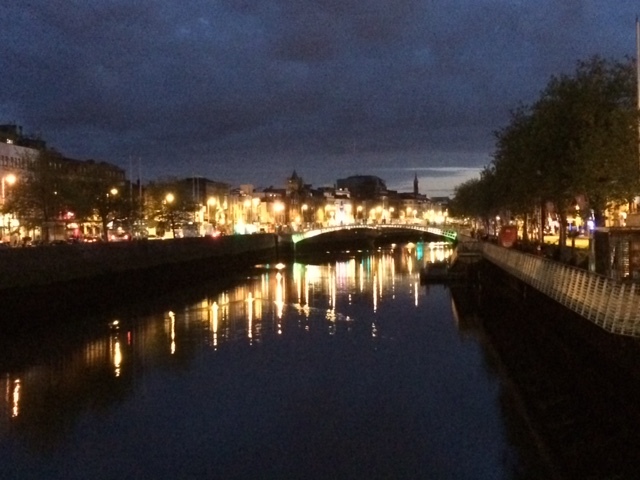 I wanted to soak in Dublin “in this fair old time.” I hesitated beneath a lamp-post. 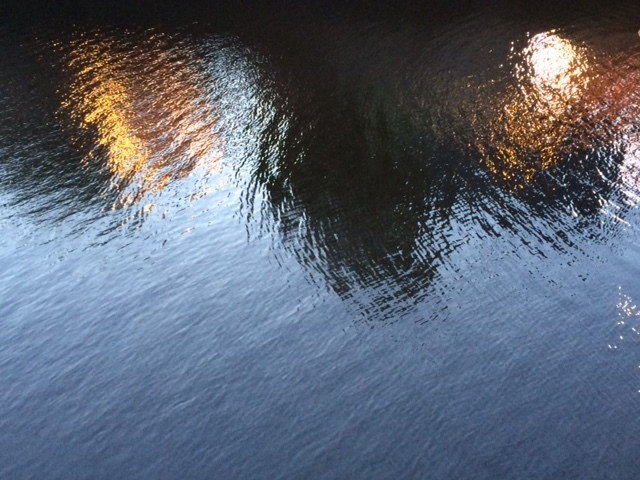 I looked into the waters of the Liffey and saw the reflections of the lights of our hotel on the far side. I saw the reflections. I felt the history. I smelled the air. I let the noise of the taxis and buses and chatting couples fill my ears. When would I come here again? 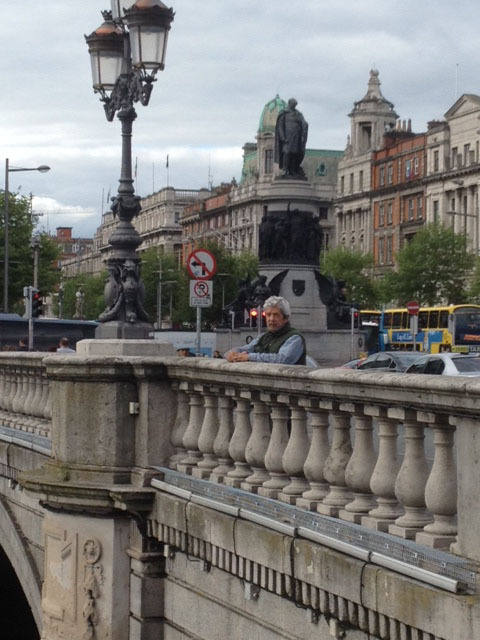 When would I cross the O’Connell Bridge and look for that elusive white horse of legends? It was a brief flight. Heathrow to Dublin airport in a little over an hour. No time for a movie. No time for any real food. I looked across Mariam’s lap and watched the fields of Wales slide under us at several hundred miles per hour. Still, when we landed and took the taxi to our hotel, we felt the need to take a walk. I hadn’t been in this curious city in thirty years. I wonder why it took so long to return. Was I avoiding something? Like memories that were so pleasant that I didn’t want to shatter them with fresh images? 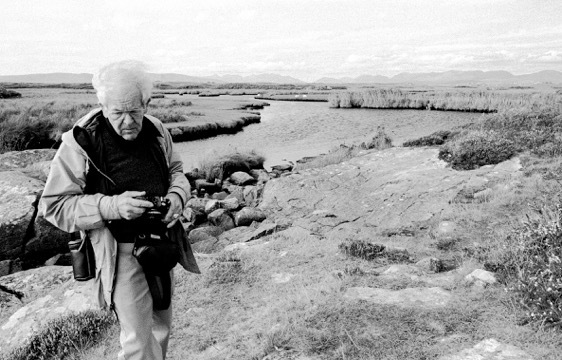 I wanted to keep thinking of this place as a cracked photo yellowed with time and not a memory made of pixels. We walked to O’Connell Street and took a left. A block and a half and we were standing in front of the General Post Office, still showing bullet holes from the Rising of 1916 when the English shelled it from a gunboat on the River Liffey. We walked to the famous Abbey Theater where the cream of the English thespians trod the boards. 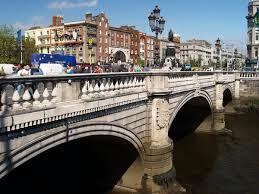 Then we crossed the O’Connell Street Bridge. In my mind, nearly as famous and important as the Tower Bridge in London. There is a legend that states that you will always see a white horse when you cross the bridge. Another legend says you will see an Irish prostitute if there is no horse. We saw neither (as far as I knew…I know a white horse when I see one). One wonders what will become of your day if you saw both. Or, even more ideal, a prostitute riding a white horse. But I’ll save that story for another day and another blog. We went a block into the section called Temple Bar. It’s just opposite our hotel. There were more pubs that one could easily count. But the Garda (police), in their yellow vests, vastly out numbered the pubs. It seemed like there had just been an upgrade in the terrorist rating…but it was more to do with the rowdiness of the drinkers than any bombs. One Garda was riding a white horse. I stopped to consider this. I found a pub to rest in. They were playing some traditional Irish music. We sat for a bit and listened. I took a photo of a pretty bar maid. 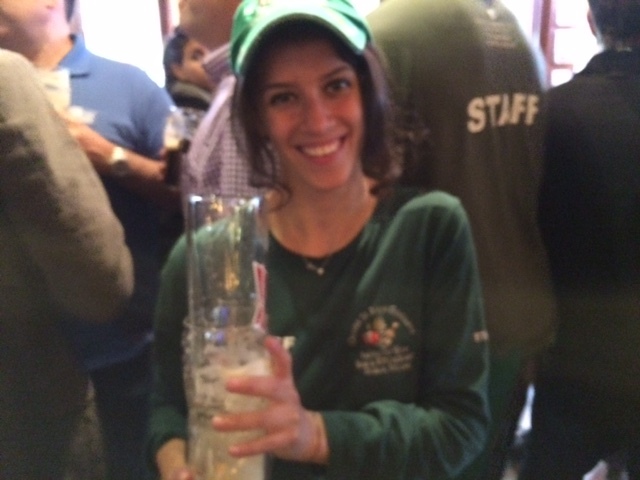 She seemed pleased someone noticed her behind the stack of empty pint glasses she carried. 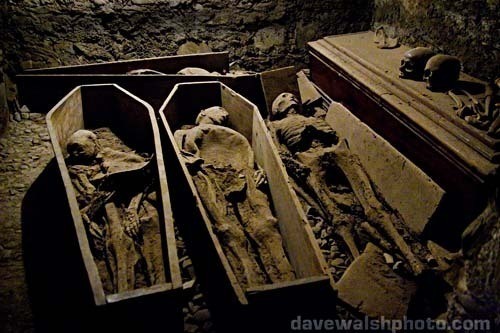 The Irish are an attractive people. 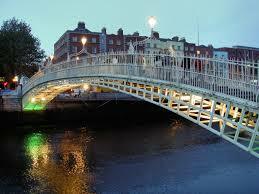 Doubling back to the Liffey, we crossed the Ha’penny Bridge. Small pad locks were beginning to collect on the metal bars of the railings. Paris just recently dealt with the thousands of locks on the Ponts over the Seine…they simply cut them off. Would this be the destiny of the Ha’penny locks? Who placed the very first lock? I wondered about this and lost myself in thoughts about whether they were still together or had they separated and left only a small chunk of metal or brass to rattle in the winter wind and signify nothing. After dinner and a show of Irish dancing (think Riverdance with four dancers) we went back to the O’Connell Street bridge. One would never guess it was a Sunday night. I stood on the bridge and read a small plaque about a man whose carriage plunged into the Liffey at that spot. I thought of ghosts. Was the bridge haunted? Was the bridge haunted by this poor drowned soul, or a thousand prostitutes…or a hundred white horses? 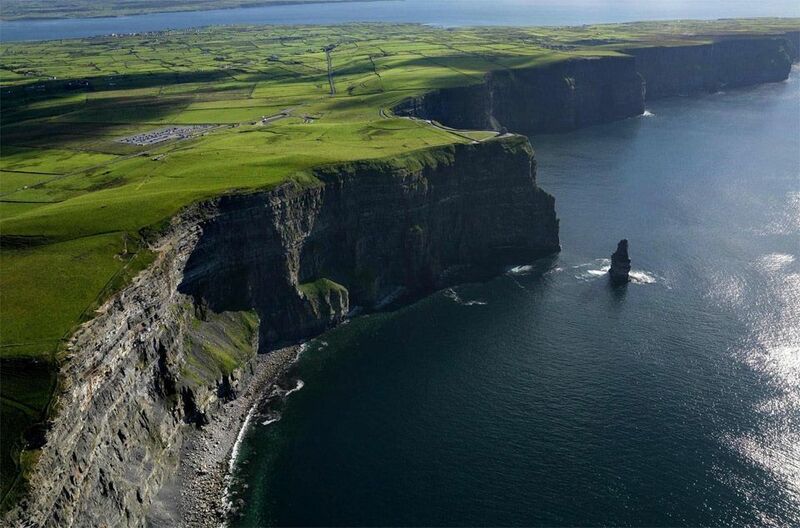 Three decades have passed since I last walked the streets of Dublin, Galway and Sligo. A great many things have changed in those years. And, a great many haven’t. The smell of peat-fires in Dublin on a December night, the blasts of wind from the North Atlantic that sting your face when you look out to the west from Donegal and the foamy black pint of Guiness…these things never change. I will be in good company. My wife and my son will be on their first visit. Where does one begin to plan such a trip? What to see? What to gaze upon? 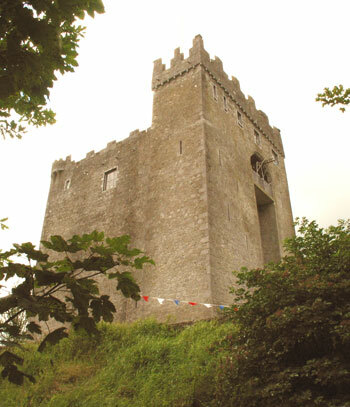 We shall avoid the touristy places like Blarney Castle. But, we will stand above the sea on the Cliffs of Mohair and look up at the keep that is the Egan ancestral castle..Castle Redwood. It was once said to be haunted. 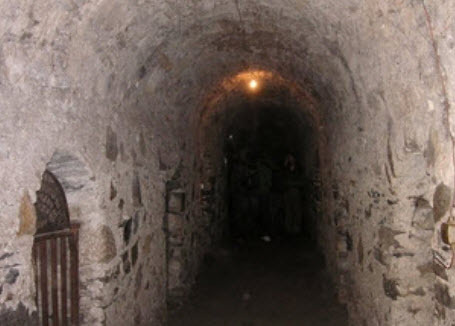 I, myself, heard Michael Egan (who restored the structure) tell of being awakened by something dark that was choking him. He called in the local priest the next day. He slept soundly ever since. 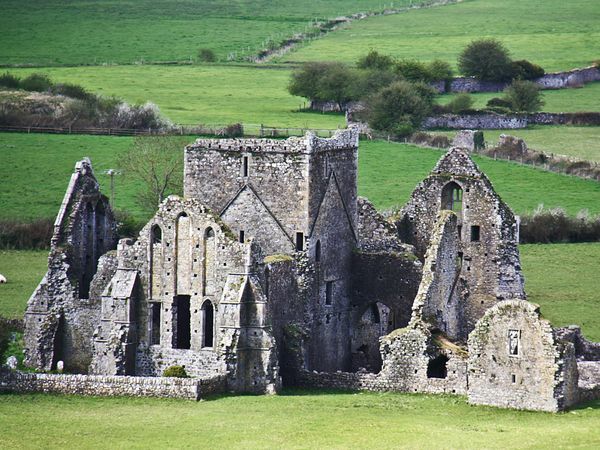 We will stand amid the ruins of Cashel and contemplate the glories of the past. 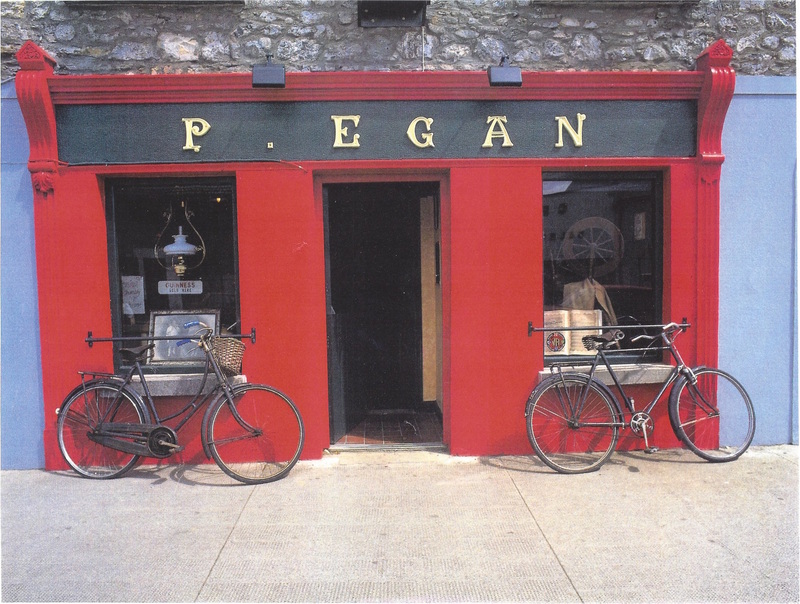 We will drink alongside unshaven farmers in pubs with names like Egan’s, O’Malley’s and Fitzgibbon’s. As I sit on the right in the driver’s seat and drive on the left, we’ll wait for the herd of sheep as they muddle pass us on a narrow lane. My wife and I will walk up Grafton Street (my son won’t join us until we reach Shannon Airport) and perhaps see a woman with black hair…and she will weave a snare…that someday, I might rue. My wife and I may sit at the 19th hole and wait for my son to do 9 holes with an old duffer in tweeds. Watch for my blogs from across the sea.